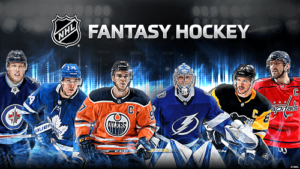 Like all other fantasy sports, NHL fantasy hockey is a virtual team of virtually assembled real players. The player’s performance is based on their statistical performances in real life games. Fantasy hockey is hugely popular because of the control it allows all the fans and couch coaches. Betting on NHL fantasy also becomes less of shot in the dark, because you have all the stats and probabilities are laid out already. Once players have assembled their teams and have completed their NHL fantasy hockey draft, they can now compete against other fantasy teams. As we mentioned earlier, the player’s abilities in the fantasy hockey league is based on their real-life performance stats. The performance is analyzed and turned into points that are compiled into a roster by the player compiling the fantasy team. When you play and create these fantasy teams, you are referred to as the fantasy team manager. The point systems can be simply compiled and calculated using computers to track real outcomes of NHL hockey. In fantasy sports, the players are drafted, traded and dropped by team owners according to what happens in the real hockey. The top three fantasy platforms are Yahoo Sports, Draft Kings, and ESPN. A fantasy hockey team consists of Centres, Wingers, Defensemen, Goalies and a Utility. The team set up varies with each fantasy hockey platform. As the fantasy team manager, you are given a budget to pick your team while staying under the budget cap. Depending on what fantasy sports platform and what league you’re in the budget cap will vary. The top-performing players according to stats may cost even up to $10 000. In the lower fantasy hockey leagues, you can begin with as little as $200 budget and bid for players with as little as $10. Generally you can buy players for.Throughout the season, players’ salaries are kept up to date depending on their performance from game to game. Each player in your fantasy team can score, but the scores carry varying points. Each fantasy hockey platform has different points for each player in your fantasy team. Below have outline the point scoring systems of ESPN, DraftKings and Yahoo. Draft your Goalies first- fantasy hockey teams that thrive have has rock-solid goalkeeping. Don’t chase the shorthanded points- statistically shorthanded points are very rare. Trying to predict which players will score a shorthanded goal is difficult to say the least. Of all the players in the NHL only two have managed the feat of over six short-handed points in the whole season. Keep tabs on the morning skates- some lines may be shuffled, some players may have been injured, and players may be substituted especially, goalies. Knowing all of this information ensures create the best potential from your roster at game time.